Unlike the knee, hip replacement generally feels more natural and does not require intensive rehabilitation. If you used to ambulate on your own before surgery, you will be able to do most of the exercises after surgery on your own. Limp and feeling of one leg longer than the other is common after hip replacement. The weaker your hip muscles and more advanced your joint deformity before surgery, the higher the chance of experiencing limp and leg length discrepancy. The sooner you regain strength in your hip muscles and you become adjusted to your new hip, the sooner your gait will improve and you will walk normally. Below are exercises that are recommended after hip replacement. Start as soon as possible after surgery. There is no magic number on many times you should do each exercise. In general, start slow and increase as tolerated. Take regular breaks and exercise throughout each day. Standing exercises. Make sure you are holding onto a firm surface. 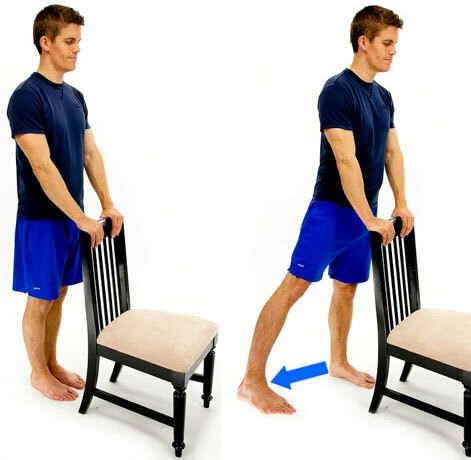 Knee raises: slowly bend your knee on the operative side and elevate it toward your chest, not higher than your waist. 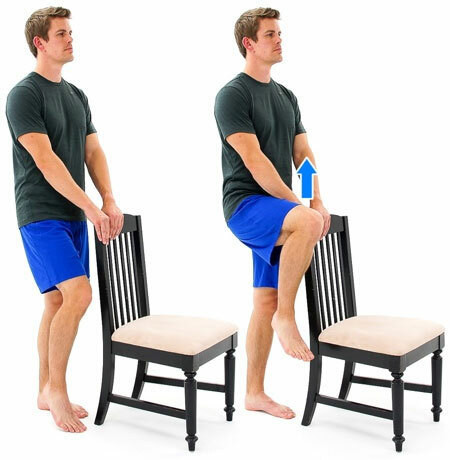 Hold for a few seconds then lower your leg to the floor and repeat (Figure 1). Hip abduction: while standing on your nonoperative leg, slowly lift your operative leg and pull it away to the side. Hold for a few seconds then slowly lower to the floor and repeat (Figure 2). 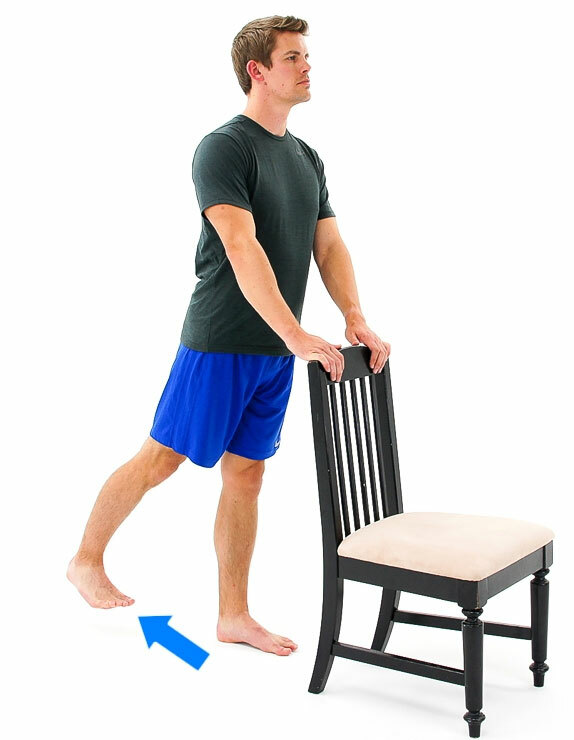 Hip extensions: while standing on your nonoperative leg, slowly lift your operative leg and pull it backwards. Hold for a few seconds then slowly lower to the floor and repeat (Figure 3). Pictures are courtesy of HEP2go.com. This is the single best exercise for your recovery. Use a rolling walker for the first 2 weeks as you adjust to your new hip. You may perceive a leg length discrepancy, feel weak, or be hesitant to put full weight on your hip, and therefore you may have a limp at first. However, as your hip mechanics improve, your limp will resolve and your gait will become more natural. When using the walker, stand up straight so that your weight is evenly distributed. Walk short distances at first until you get more comfortable. As you walk, try to adjust your gait (speed, length of each step, and weight bearing) so you are walking evenly on both sides. As your hip strength and gait improve, wean off the walker and transition to walking on your own or use a cane if you feel you still need continued support. Note: make sure there are no tripping hazards where you walk. Do not bend at your hip greater than 90 degrees while sitting or standing. Do not cross your legs while seated. Do not bend deeply at the knees while in a standing position. Remember, the #1 priority in your hip recovery is restoring normal gait. Hip exercises against resistance (e.g., using elastic bands) are not necessary in the first 2 weeks. Most patients do not require formal physical therapy. You will be evaluated in clinic at 2 weeks after surgery and outpatient therapy will be ordered if necessary. Activity is the body’s natural blood clot prevention mechanism.